Some of you may be familiar with the prawn through the knitting and crochet book, The Woolly Prawn. My daughter and I wrote it and incredibly it’s now almost twelve months since the launch. Many prawns later we have put together a Woolly Prawn kit which includes all you need to make your first prawn or two and is available from our Etsy shop. Yes, but where do pebbles fit into all this .. I hear you asking yourselves. Well, the prawn has just been on tour in Devon and Cornwall. 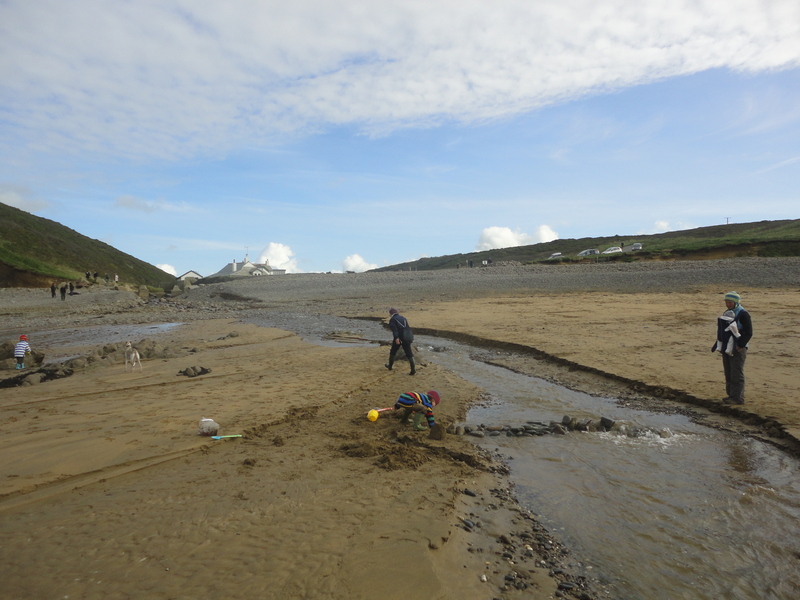 Inspiration came while building a dam over a stream on the beach with my grandsons. Yes, that’s me striding purposefully away into the distance! 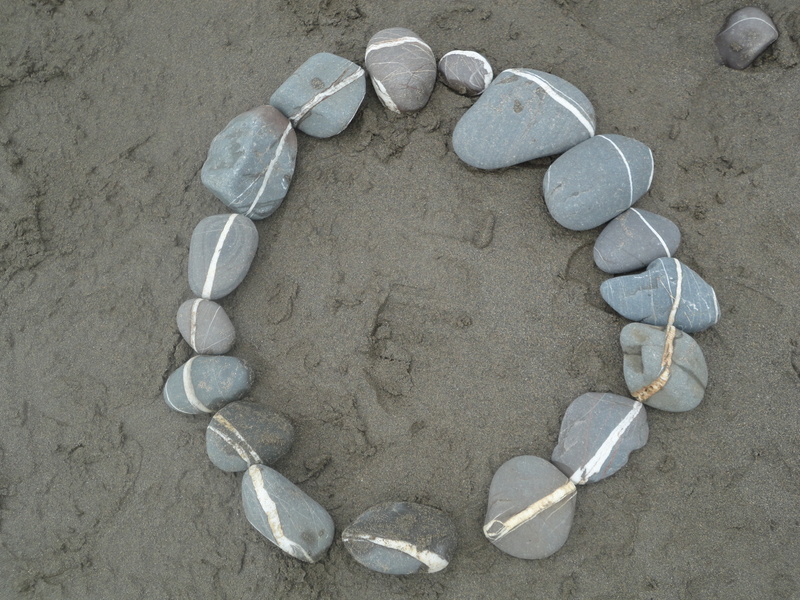 The pebbles and rocks were just so striking and I suddenly remembered the pattern for crocheted stones in a recent Issue of Simply Crochet. I had to get my hands on some cotton to try it out. You would not think that it would prove so difficult to find crochet thread …I had to make do with doubling up some No 20 in a far from perfect colour! Quite pleased with those I must say! 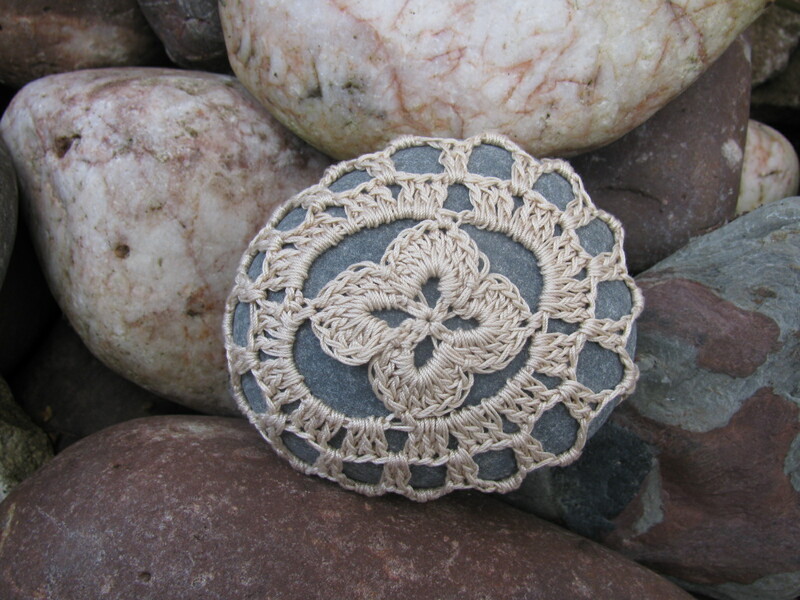 Not much success locally trying to find attractive, fine crochet thread so have had to look at some of my favourite online shops. 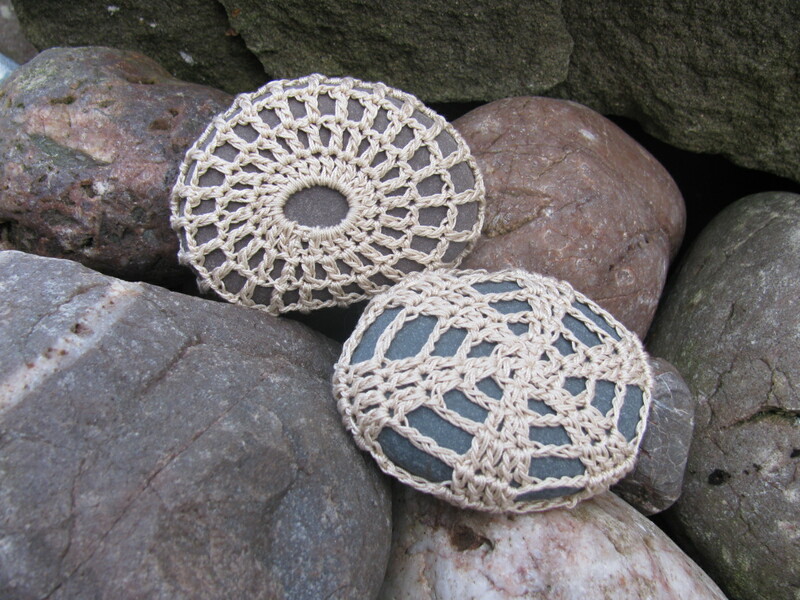 The good news is that the local Garden Centre has beautiful, rounded cobbles which will be perfect for enclosing in some fine crochet.